Real Madrid midfielder Mateo Kovacic has confirmed he might be leaving the club if he is not given more playing time. Kovacic was a target for English side Tottenham Hotspur last summer but Real Madrid turned down their offer. However, with Kovacic now seeking for more playing time and an oppourtunity to be a starter for another team, Tottenham will now be motivated to make another bid for the highly rated Croatian. His relause clause is £44m and that is not too much for Tottenham to activate. Speaking with Marca at an interview, Kovacic let out his desire and reveals he might consider leaving Madrid. 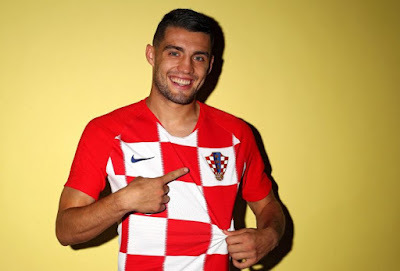 Kovacic is currently with the Croatia side in Russia for the 2018 World Cup.